Happy Spring! It is the perfect time to get outside and play around. I am sure we are all pretty excited to start seeing the sun peeking out more now. With Spring comes butterflies as you all know. We’ve been seeing a ton of butterflies here in Los Angeles lately which has been fun. I try to create fun crafts for Mila every month and thought creating our own butterflies would be perfect! The first thing I do is lay out all the craft supplies and put the little decorations in small bowls. I used; colored foam paper for the butterfly wings, large wooden craft sticks for the butterfly body, pipe cleaners for the antenna, and googly eyes. To decorate the butterfly wings we used different colored pom poms and large jewels. I took Mila to our Michaels Craft Store to let her choose the decorations she wanted. We had some pom poms left over from a previous craft. Mila chose the sparkly gems to use for our butterflies. I love taking Mila to the craft store to give her some say in the crafts we make. It can be overwhelming, but most of the time Mils is so good and I love seeing her little brain at work choosing craft supplies. I free hand drew butterfly wings then cut those out as my template to make more. If you need a little help, just Google ‘butterfly wing template’ and use one of those for a guide. I cut out quite a few butterfly wings so we’d have a bunch of color options. I also prepped the butterflies by hot glueing the wings to the wooden craft sticks. I also hot glued the pipe cleaners to the top and the googly eyes. This way Mila could use the regular glue to decorate the wings. 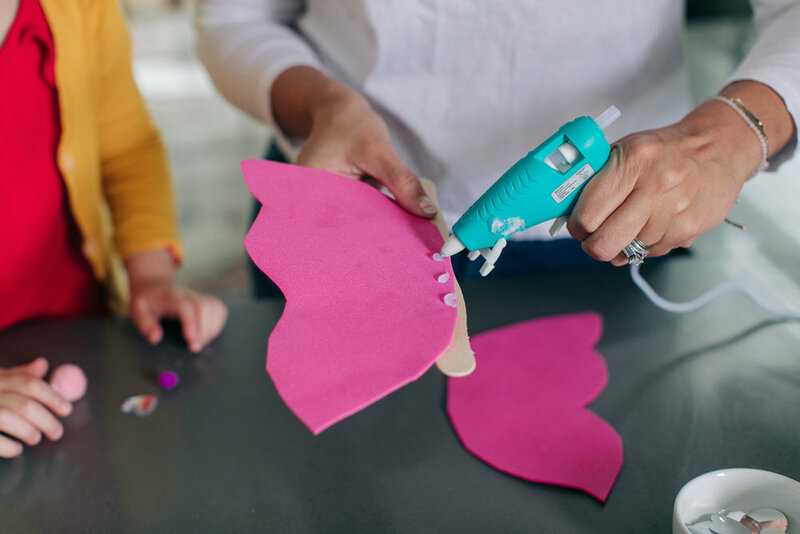 If you don’t want to use the hot glue around your child, then prep the butterflies before hand. Once I created a few butterflies with the hot glue, we got down to getting creative and decorating our butterflies with regular glue! Once the butterflies are dry, it is time to PLAY! This craft was so simple and was the perfect thing to do together. 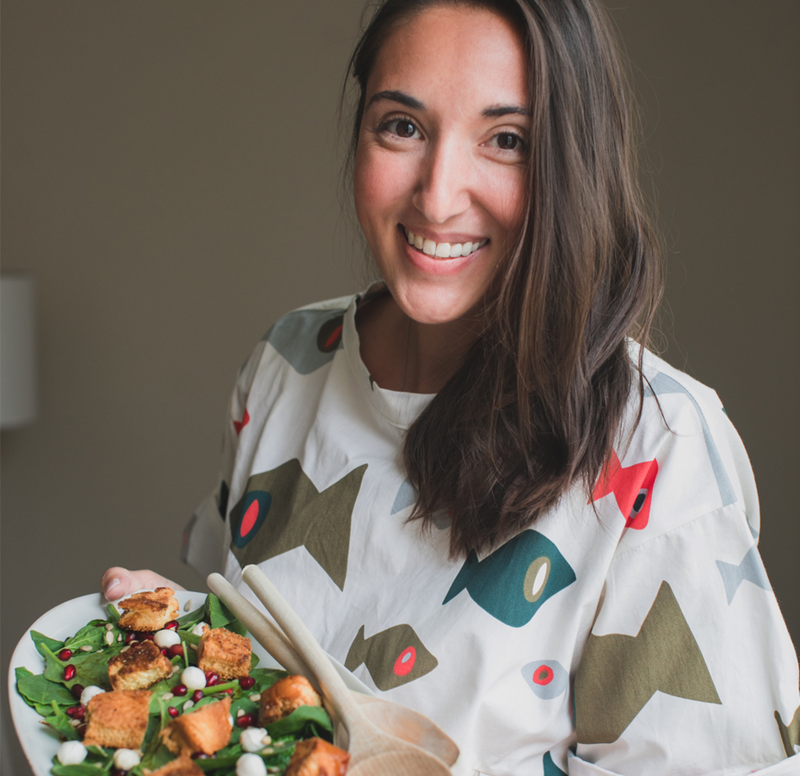 I always have the foam paper, pom poms, pipe cleaners and wooden craft sticks on hand for quick crafts like this. 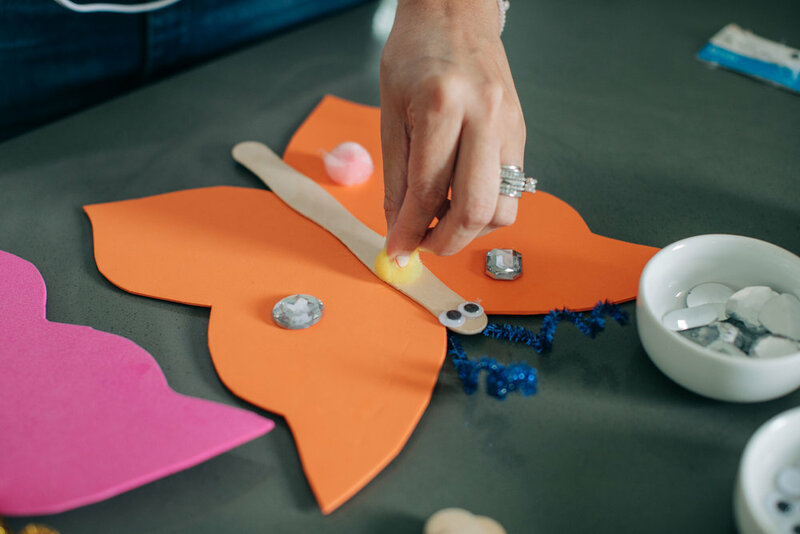 Let me know if you’ll be making butterflies this Spring with your little ones!